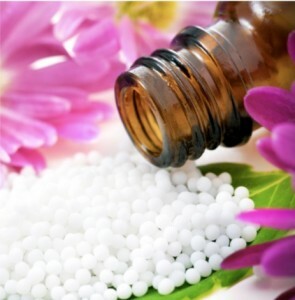 This month I would like to talk about how homeopathic medicines are prepared. I find that still today, there is doubt about the effectiveness of small doses in some people’s minds – understandably. After all, homeopathic pharmacists dilute them to the point where they are like a drop in the ocean. Seriously, how could this have any therapeutic action? 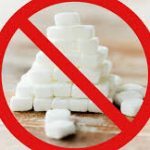 But evidence exists from basic science, controlled clinical studies, epidemiological data, clinical outcome trials, and historical review of the field. It is well known that matter contains enormous energy. Albert Einstein, described in a formula E = MC2 how a small amount of matter can create nuclear power. This is not to say that homeopathy engages in splitting atoms. Rather, it is to suggest that the conversion of matter into energy is possible in ways that are our current science has not developed tools to study. The process of repeatedly diluting and shaking (succussing) a substance when making a homeopathic remedy appears to create a kind of invisible energy. It may be hard to prove exactly how this works. But when we see a piece of metal gliding across space and latching onto a magnet, this has no mystery for us, because we supposedly understand magnetism. Or do we? How in fact does this invisible force act to pull an object across space, untouched? A well-chosen therapeutic substance of homeopathy must be active at this ultra-subtle energetic layer. 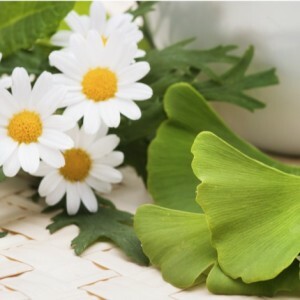 Therefore, in preparing a homeopathic remedy, the process starts with the raw substance which is then transformed into an energy active at the invisible level. Remedies are made by the process of dilution and succussion. Strictly speaking, remedies are not in themselves homeopathic; they become homeopathic only when they are prescribed according to the principle of ‘’like cures like’’. When the remedy is given accurately and effectively ‘’mirrors’’ the patient’s symptoms, it can be considered to be acting homeopathically. The experience, judgement and skill of the practitioner are responsible for selecting the appropriate remedy. Remedies are prepared to exact guidelines, but may vary in strength. Dr. Hahnemann, founder of the Homeopathic system of medicines, laid down precise guidelines for the preparation of a homeopathic remedy. Measurements and methods were all strictly and scientifically controlled. He also developed a unique process called ‘’potentization’’, which allowed the full strength, or potency, of the substance to be released into the remedy mixture. Many remedies are based on highly active or even poisonous substances. 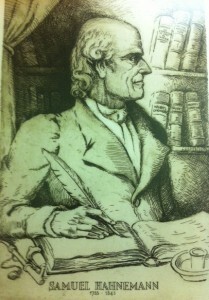 Hahnemann established that remedies needed to be diluted to a very great degree to avoid side effects. To his surprise he discovered that, paradoxically, the more diluted the remedy, the longer its action, the deeper its effect, and the fewer doses needed. Because the remedies are diluted to such a great degree, it is highly unlikely that even a single molecule of the original substance remains. This means that, although remedies may be based on highly poisonous substances, they are completely safe to use, even on children. However, this is also the main reason why homeopathy is still viewed with such skepticism by many orthodox doctors and scientists. The potency prescribed is gauged by the homeopath according to the condition to be treated, the strength of the patient, and the circumstances. Not only must the remedy given be suitable, but the potency chosen must also be appropriate for the individual. Homeopathic remedies are generally prepared according to one of two scales: the decimal (x) and the centesimal (c). In the decimal scale, the dilution factor is 1:10, and in the centesimal scale it is 1:100. Remedies usually have a number, such as 6c or 12x, after the name. This number indicates how many times it has been diluted and succussed, and on which scale; for example, the remedy Allium cepa 6c has been diluted and successed six times on the centesimal scale. More rarely, however, scales such as millesimal (m) and quinquagintamillesimal (lm) are prepared. According to these scales, remedies are diluted by factors of 1:1,000 and 1:50,000 respectively. The former is used mainly when a single, high-potency dose of a remedy is considered appropriate by the practitioner, while the latter is given when regular gentle dosing is needed in stubborn, chronic cases. 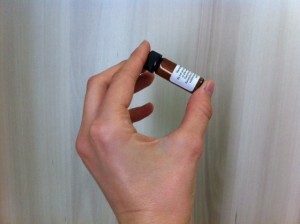 The mother tincture is usually diluted in a mixture of pure alcohol and distilled water according to one of several scales. The ratio of alcohol to water varies depending on the base substance of the mother tincture. To produce a 1c potency, one drop of the mother tincture is added to 99 drops of an alcohol and water mixture and succussed. To manufacture the 6c potency illustrated below, this process is repeated a further five times. Succussion is essential. It has been proven that just diluting the material is ineffectual for making homeopathic remedies. Each dilution must be shaken violently with impact in order to become an effective remedy. According to Hahnemann’s theories, the more diluted a remedy, the stronger it is and the higher the number, or ‘’potency’’. A less diluted remedy is not as strong and has a lower number, or potency. Roughly 80% of homeopathic remedies are made from the crude material of specific plants, or from healthy or diseased tissue. However, others are made from specific minerals, salts, and insects. A very few are made from animal, and even disease material itself. Metals that are insoluble in their natural states are combined with lactose sugar crystals and ground repeatedly to form a powder fine enough to be soluble in water: this process is called trituration. Crystalline substances, seeds, and beans may also be ground up if they are hard, large, or insoluble in water. All remedies start with the basic crude material of which the remedy is made. However, most remedies have very little or none of the original crude material left by the end of its processing. 1. Plant material such as leaves, roots, and flowerheads, and some animal material, such as starfish, is chopped finely, while other substances are dissolved in water or ground to prepare them for use. 2. The substance is put in a large glass jar, into which is poured a solution of alcohol and distilled water (often 90 percent alcohol to 10 percent water, but this ratio varies depending on the substance). 3. The mixture is left to stand for a varying amount of time; mixtures that are macerated for longer periods may be shaken at intervals. Plant material may be steeped for several days or weeks, while mineral-based mixtures may be processed on to the next stage almost immediately. This soaking lasts long enough to fully draw the properties of the plant into the water and alcohol. The water leeches into itself the chemical properties from the crushed plant material over time. The alcohol is primarily used as an astringent to help draw substances out of the plant and as a preservative so the plant material doesn’t rot or breed bacteria. When ready, this mixture is strained of the course residual plant material (pulp) leaving a tinctured solution saturated with the chemical properties of the original plant. This tinctured solution is now called the mother tincture. 4. After being macerated for the required period of time, the mixture is poured through a filter to strain it or expressed through a press to extract the liquid. The resulting liquid becomes the ‘’mother tincture’’ for the remedy, and is stored in a dark glass jar. 6.This mixture is shaken vigorously or banged down firmly on a hard surface, a process devised by Hahnemann. He called it ‘’succussion’’ and believed that the action enabled the liquid to be ‘’potentized’’. 7. After the mixture has been succussed, steps 5 and 6 are repeated over and over again, as many times as necessary. Each time, the resulting mixture is diluted afresh in a mixture of pure alcohol and distilled water until, finally, the required level of dilution, and therefore the required potency for the homeopathic remedy, is obtained. 8. Once the mixture has reached the required strength and potency, a few drops of it are added to lactose tablets, pilules, granules, or powder, to impregnate them with the remedy. These are then stored in dark glass bottles. Common potencies used in homeopathic remedies usually begin around 6X. The dilution ratio of 6X is one part of the original mother tincture to one million parts of the diluting material. So, only one part of the original mother tincture is in every million parts of the diluting material. This is what makes remedies extremely safe. 6X is already extremely dilute, but considered a low potency. More frequently used potencies are 12X, which is one part to 1,000,000,000,000, and 30X which is one part to this astronomical number: 1,000,000,000,000,000,000,000,000,000,000! These are infinitesimal doses. They cannot toxicologically harm anyone. Yet they are effective, at times acting stronger and faster than common drugs. What is acting however, is not the remedy. It’s the person’s immune system their energy and body processes which are responding. A dilution that small cannot push your body to do anything. It can only suggest, which gives your body the choice to change or not. It has been proven that our bodies produce, use, and communicate with infinitesimal amounts of chemicals and organic compounds (consider pheromones as an example). In using micro-doses, homeopathy is a science working in conjunction with your body’s own chemical and immune processes. And, homeopathy does this without fear of toxic side-effects. 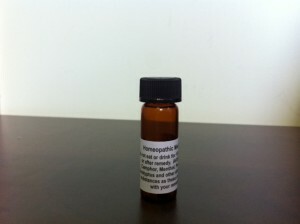 Homeopathic remedies in their final products come in liquids, creams, gels, pellets, or tablet form. The remedy is already in its liquid form when processed as above. For creams and gels the remedy can easily be added to any cream or gel base. In Canada, the preparation of homeopathic remedies is standardized. 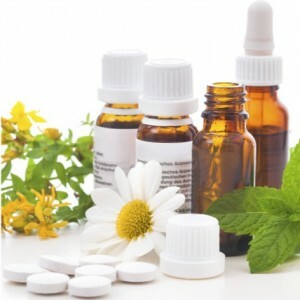 Remedies that have a Homeopathic Medicine Number (DIN-HM) on the label have been assessed and licensed by Health Canada and found to be safe, effective and of high quality under their recommended conditions of use. You could easily look up how to prepare any given remedy and prepare it yourself if you wanted. There is no mystery in the actual process of preparation. You know exactly what you are getting. For plants you need to know whether you prepare the homeopathic remedy from the leaves, the flower, or the root and when to harvest. This, and all other details of preparation of any specific remedy, is available in the Homeopathic Pharmacopeia.